JACKS Investments, LLC is a leading private investment firm that concentrates on value-driven equity investments in small to middle-market companies. Our investors focus on providing Smart Capital and professional leadership that facilitate the best potential for company growth and development. JACKS’ strategic operational action plans have improved profitability and shareholder values for businesses in various industries.Founded in 1995 by Charles Simon, JACKS builds value for small and middle-market companies by applying Smart Capital and sound management practices. The group is headquartered in Jupiter, Florida and has satellite offices in Columbus, Ohio. Our principals have owner/operator experience in companies ranging from $250 million to $2 billion with diverse backgrounds ideal for creating measurable success. JACKS’ hands-on approach establishes trust and enables profitability. These factors, along with our principals’ vetted management experience, work together to support long-term partnerships and lasting value for stakeholders, employees, and investors alike.Our goal is not only to become primary investment partners, but also operational management consultants and strategic planners. We seek opportunities to create and cultivate structured growth using our management experience alongside your industry expertise. Our primary business objective is simple; we want to grow with you. Mr. L. Kerry Vickar, Partner and Vice Chairman at Atlantic Capital Group, LLC as well as owner and Chief Executive Officer of May Heavy Equipment. In addition to providing strategic direction for the firm, his responsibilities include deal origination, structuring, and transaction negotiation. Drawing on more than 30 years of successful business operational experience, Mr Vickar is instrumental in the orchestration of corporate buyouts, bolt-on acquisitions, and capital raises on behalf of various entities and strategic business partners. Early in his career, Mr. Vickar served as President of Gravure Graphics, Ltd. where he successfully grew the company until its ultimate acquisition in 1994 by ACX Technologies, Inc. In 1998, Mr. Vickar created CorrFlex Graphics, LLC, where he served as Chairman and Chief Executive Officer until it ultimately became the pre-eminent North American temporary point-of-purchase display company. Within just six years, CorrFlex had grown to 12 manufacturing locations and more than 3,500 employees in just six years when it was acquired in 2004 by Sonoco Products Company. Most recently, Mr. Vickar founded VSTH Group, LLC and also established the L. Kerry Vickar Charitable Foundation. Michael Bronfein serves as Remedi SeniorCare's chairman of the board, leading Remedi's rapid growth to the fourth largest institutional pharmacy in the U.S. within 10 years. Prior to that, he spent a decade as a co-founder and senior managing director at private equity firm Sterling Partners, where he led healthcare investing activities. 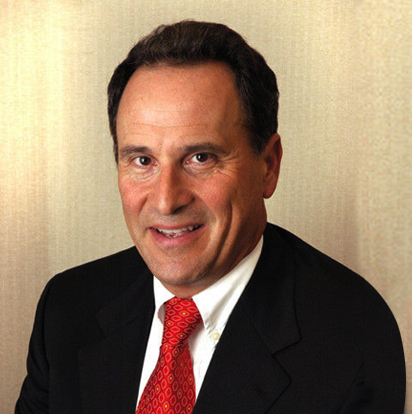 Michael was co-founder, chairman, president, and CEO of NeighborCare, which he led from a single retail pharmacy to a national provider of long-term care and managed care pharmacy services, serving more than 250,000 long-term care residents and achieving revenues of more than $1 billion. In 1994, he received the E&Y Entrepreneur of the Year award for his leadership and innovation in developing NeighborCare. Mr. Bronfein previously served as senior vice president of Signet Bank. Mr. Bronfein contributes extensively to the community, having served as chairman of the board of trustees of the Baltimore Symphony Orchestra and a current member of the advisory boards of the Bloomberg School of Public Health at Johns Hopkins University and Harvard Medical School. Bronfein holds a B.A. in accounting from the University of Baltimore and is a non-practicing CPA. 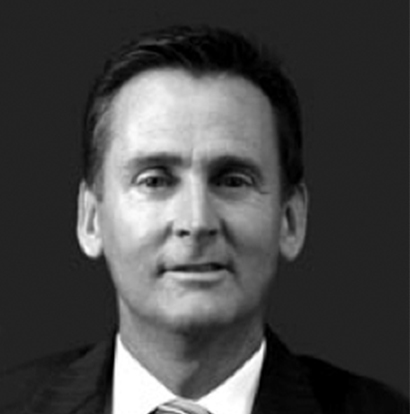 David provides overall leadership and strategic direction for The Ransom Group. He utilizes his knowledge and experience to improve the execution and performance standards of each search.  David allocates considerable time to business development, client management and the refinement of innovative search solutions. In addition to his leadership role within the firm, he has built an extensive personal network of the industry's top leaders and has personally completed hundreds of senior management searches. 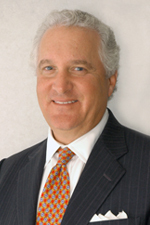 Prior to founding The Ransom Group, David held the position of partner in a national search firm. For more than eight years, he was recognized as one of the firm's leading consultants. David is a graduate of Eastern Illinois University. Steven B. Fader is the Chairman and a Co-Founder of Atlantic Capital Group. 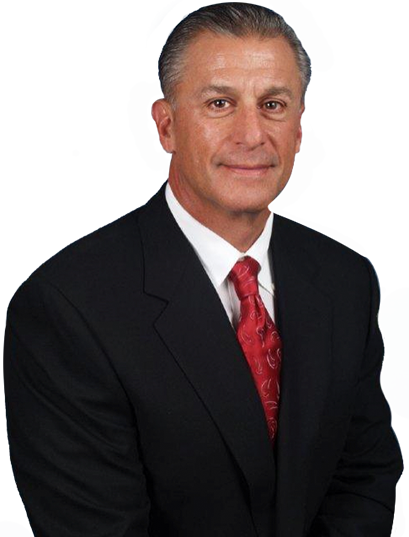 Mr. Fader has been a private equity and real estate investor for more than 25 years. In addition to planning the strategic direction for the Firm, his activities include deal origination and structuring and negotiation of transactions. 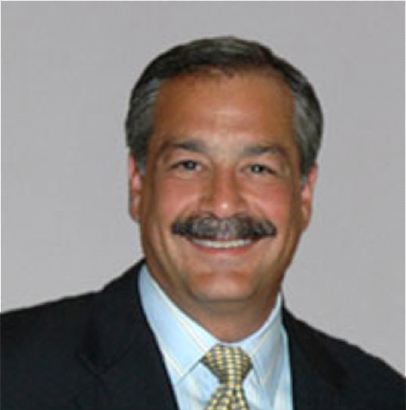 In addition to his Chairman function at ACG, Mr. Fader is Chief Executive Officer of Atlantic Automotive Corp. and Hall Automotive, LLC. Atlantic Automotive Corp. and Hall Automotive, LLC together comprise a privately held regional automotive retailer and service provider organization whose assets include 72 automobile dealerships, as well as equipment/automobile leasing operations, automobile rental facilities and regional collision repair centers. The combined companies employ over 3,000 people and revenues nearing 2 billion. He received his B.A. from Western Maryland College in 1979 and a J.D. from the University of Baltimore School of Law in 1983. 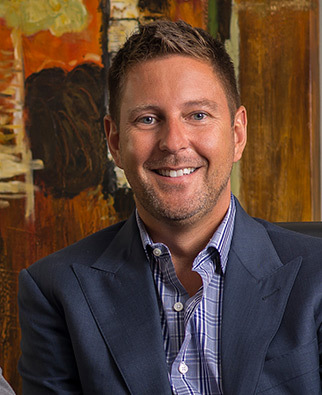 Brent Crawford is a Principal in the full services real estate firm Crawford Hoying and their family of companies. Brent has guided the vision of the company for the past 20 years, which has grown from a single investment property in 1994 to one of the largest real estate firms in Columbus, Ohio. Crawford Hoying currently has over 220 employees and including companies such as Crawford Communities LLC, Crawford Hoying Living and Crawford Hoying Real Estate Services, Brackett Builders Inc. and Crawford Hoying Development Partners. Brent has personally overseen many aspects of the business, which include raising over $200 million of private equity for specific investment into income producing properties, securing over $2.0 billion of debt financing in the past 20 years, managing relationships with over 100 equity investors, negotiating the purchase and sales of over $1 billion in multi-family assets in the past 10 years, and overseeing new acquisitions, ground-up development, and debt placement for all projects. Brent has spoken at many events as a guest speaker covering topics such as current real estate trends, multi-family markets, and development growth in central Ohio. In addition, Brent taught property management and real estate trends at the Fisher College of Business at Ohio State for 2 years. With management and owner/operator experience in companies with revenue upwards of $2 billion, our principals have the knowledge and compassion to create sound and steady opportunity across a variety of industry sectors. From growth initiatives and expansion goals to leadership development and employee mentoring, JACKS Investments can help bring positive, high quality and lasting change to businesses ready for growth. JACKS is much more than just an investment firm. We’re vested in lasting success as much as we are growth. Our target acquisitions are maturing businesses with a need for intelligent action plans that can deliver stability for investors, employees and stakeholders. We seek long-term partnerships that can support the goals of all parties, and in the process, we help develop thriving businesses that are built to last. JACKS Investments isn’t simply about goals and growth, although these are two primary pieces of our philosophy. Additionally, our principal management team uses an immersive approach, becoming intimately involved in the management and strategic business planning of our investments. Coupling our vast management knowledge with this kind of hands-on involvement has led to a proven track record of increased performance and profitability. At JACKS, we believe our primary advantage is our partners. Our hand-selected network of strategic partnerships leverage our core competencies, inciting growth and opportunity at every turn. We are committed to long-term partnerships that bring value to all aspects of business, including stakeholders, company management, employees, investors and their respective communities. FCX Performance is a leading industrial, specialty process flow control distribution company, providing technical, mission-critical products and value-added services to more than 15,000 end users, original equipment manufacturers and engineering and construction firms across the process, energy and high purity industries. The Company’s target end markets include chemicals; upstream, midstream and downstream oil and gas; power; steel; pulp and paper; pharmaceuticals; food and beverage and general industrials. FCX provides a broad array of complementary products including valves, instruments, pumps, hoses, fittings and process flow control equipment, supported by technical expertise, integration, repair and ancillary services. Easton Sales & Rentals, LLC. offers complete equipment sales, rentals, and parts sales to all construction industries specializing in large, earth-moving projects. With branches in Ohio, Texas, Florida and New Mexico, we are ready and accessible to the entire United States. Our world-wide sales and importing of machines are also available as we reach the scope of our local branches and into the demands of our new global economy. Easton Sales & Rentals, LLC. has procured the best talent in the industry to run each of its branches and has confidence in all of our employees to get the job done in such a way as to provide complete customer satisfaction. Our company works hard to enhancing its alterability to meet the challenges of the future. Each and every employee earnestly awaits the opportunity to meet all of your heavy equipment needs. OPEN Sports Network, Inc. operates an online social sports entertainment destination that provides social media and community tools, sports content, and sports games to sports fans. The company offers football games. Its platform enables its users to read national and local sports stories; write blogs and post comments; make friendship with other sports fans; participate in discussions through comments and forums; upload videos and photos; play games and contests; and connect with athletes and celebrities. The company was founded in 2007 and is based in Deerfield Beach, Florida. Crawford Hoying is a leading property management, real estate, and site development firm serving the Columbus, Ohio area since 1998. Through excellence in property management and a forward thinking approach to development, we are proud to be leading the charge into the 21st century. Serving the state of Ohio since 1982. Central Ohio copier specializes in supplies, faxes and printers as well as office supplies for any size business. Dedicated to customer service and finding the right car for you, Champion Auto Group is your one stop shop for used cars in central Ohio. Family Operated investment group, Simon Group, is dedicated to acquiring companies and becoming lifetime partners to achieve top growth. Serving Columbus Ohio since 1990 Simco Realty is a leading property management, real estate firm specializing in industrial warehousing. "...[Charlie's] Technical expertise, intellect and professionalism enable him ro interact credibly with both customers and suppliers...I can vouch for his integrity, honesty and capacity for sheer hard work..."
"Stonehenge Partners Inc. is very pleased to present this letter... Charlie is a proven operator and investor who has consistently delivered superior performance and superior results for his investors..."
"I have worked with many management leaders... and Charlie is one of the best. He brings outstanding entrepeneurial intuition, high determination and enormous energy, and strong problem solving skills..."